music Awards in Lagos . She has several hit singles which includes : TURN UP’, MURDA and JUNGLE VIBE ’. Her music style is a perfect blend of Afro-Pop, Dance hall and R&B. proving again that she can rub shoulders with the best in the business. 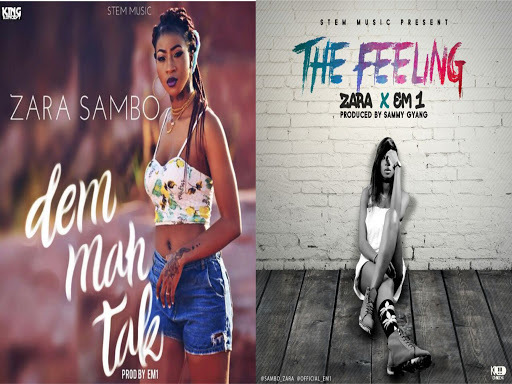 Zara Sambo decided to share her latest tunes with her fans titled-- "DEM MAH TAK" (Prod by EM1) which comes with a surprise package song for Christmas, "THE FEELING" featuring EM1, produced by Sammy Gyang. she sings “Jah (God). Production credit goes to EM1 .